A stern test of golf for the start to the second nine. 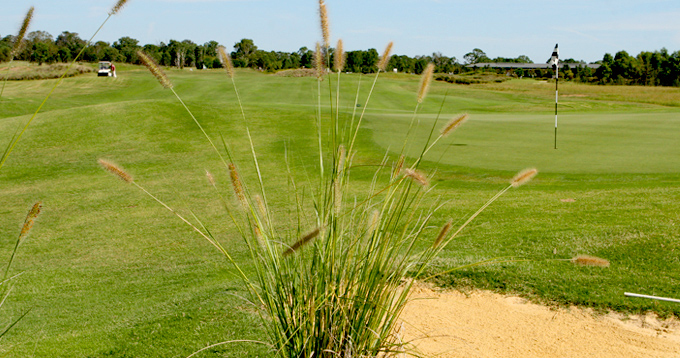 The ideal tee shot should take on the left side bunkers. 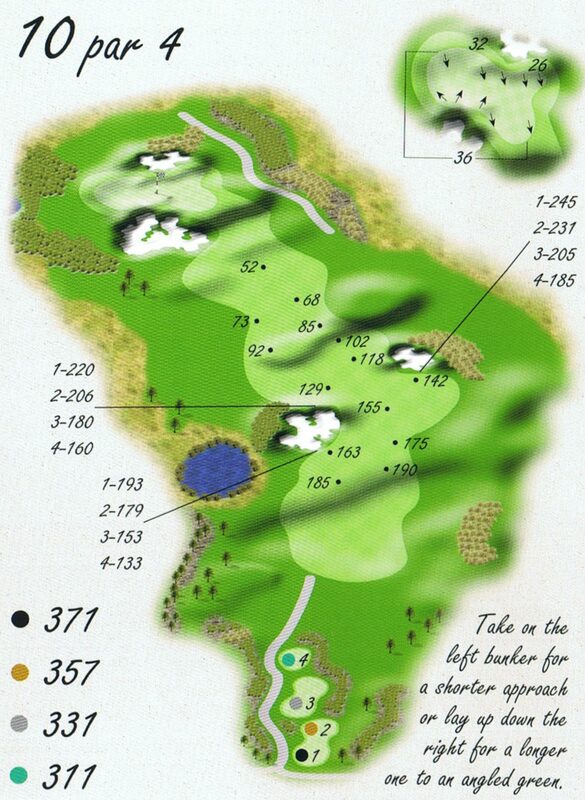 Be careful not to go through the fairway and into the bunkers on the outside of the dogleg as a long bunker shot is required to the green. Take care when approaching the back left pin position as the green slopes away steeply off the back.